When you need to add a new electrical device to your home, such as a receptacle or a switched light fixture, it's often easier to tie into existing wiring than it is to run a whole new circuit. The code permits this as long as you don't overload the circuit you're tying into. How do you know if you're overloading the circuit? Choose a device to tie into, find the breaker for that device, turn it off and see what else goes off, then count those devices. Although the code doesn't actually specify a limit, it's usually safe – as a rule of thumb – to limit the number of receptacles and light fixtures on a 15- or 20-amp circuit to 10 or 12. If you're adding the device in a bathroom or in the kitchen, the device must be on a circuit that serves that room. There are seldom more than 10 devices in either of these rooms, so you're usually okay. Where Is the Best Place to Tie Into a Circuit? 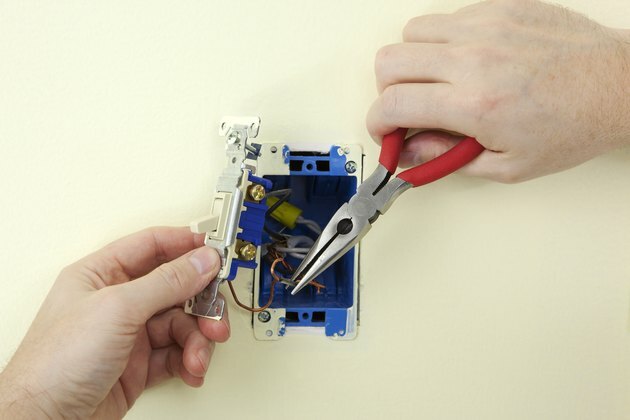 The easiest place to tie into a circuit is in a receptacle or switch box. You can tie into a circuit in other places, but you have to install a junction box. 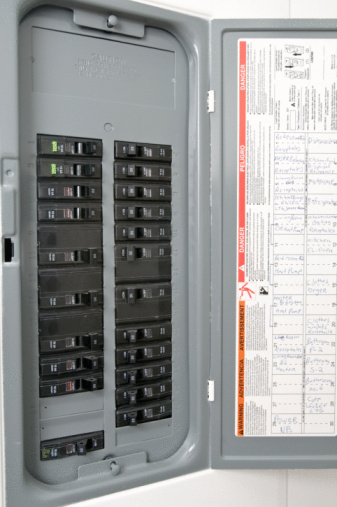 The code requires all wire connections to reside inside an approved electrical box. Loose wires in the wall aren't only illegal, but they're also fire hazards. If you choose to install a new junction box, be careful. It has to remain accessible. That usually means you install it in the wall, just like a switch or receptacle box. When you're done making the wire connections, cover the box with a blank cover plate, which looks just like a switch or receptacle cover plate but without the holes. The cover plate can't be behind a bookcase, cabinet or anything else that prevents you from getting to it. If you're adding to wiring in the basement or attic, you can nail or screw the junction box to a joist or rafter. It doesn't have to be covered with drywall. As long as you can get to the box and remove the cover plate, you're good. It goes without saying that there should be no bare wires outside the J-box. It's important to remember that the code doesn't permit changing wire gauge in the middle of a circuit. That means if you're daisy-chaining a new receptacle onto an existing receptacle or switch, or you're tying into the middle of a circuit, you have to check the gauge of the existing electric wire and use the same gauge. If you're adding a junction box to an existing circuit, it's often easier to use a plastic one, and this type of J-box doesn't need to be grounded. If you have to install a metal box, however, the ground wires of all cables in the box must connect to the ground screw on the box. That's a safety precaution that will protect you if the wire connections inside the box ever come loose. When you're tying into an outlet, you can use its terminal screws for your new device. However, as often happens when you're wiring an outlet, you may have more wires than what will fit. If you wire onto a switch, you'll have to join the hot circuit wire to the hot wire for your new device, then use a jumper to connect to the switch. Whenever you have to join wires, twist these together and cap them with a cap rated for the cable size. Don't simply wrap them with tape. Tape gets brittle with age and can fall off. The same is true for junction box wiring. Cap all splices with wire caps. The only exception is ground wires. You can cap these if you want, but they're bare, so the cap doesn't really insulate them. Anyway, they don't need insulation. It's fine to twist them together or, better yet, crimp them together with crimp rings.